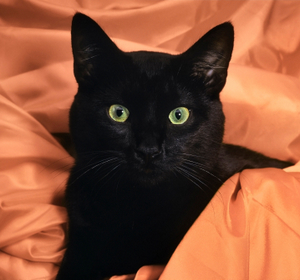 Halloween cat names are perfect for black cats and kittens. But regardless of the color of your cat, a Halloween name is always fun and unusual. Check the list below for a few Halloween-inspired feline names. Halloween and cats (especially black cats) seem to go hand in hand. But why are they associated with Halloween? Cats have long been identified with witches and superstition, so it seemed just natural to connect a holiday that partly evolved from pagan traditions with the mysterious feline. Did you enjoy this list of Halloween names for felines? I certainly hope so. If you need more name ideas for your kitty, check the links below.